This guide is written for access management designers and administrators who build, deploy, and maintain services for their organizations. This guide covers the tasks you need to quickly get AM running on your system. This guide shows you how to quickly set up an instance and get started with access management. In reading and following the instructions in this guide, you will learn how to protect a Web page using a web agent. You need a Linux, Solaris, or Windows system that can run the web agent (see the ForgeRock Access Management Web Agents Release Notes section, Web Agents Platform Requirements) with a minimum of 1 GB of available RAM memory, a few hundred MB of free disk space, a web browser, and an Internet connection to download software. If you are using Mac OS X, set up a virtual machine running Linux to try these procedures because the web agent is not built for Apache HTTP Server on Mac OS X. AM centralizes authorization by letting you use AM to manage access policies separate from applications and resources. Instead of building access policy into a web application, you install an agent with the web application to request policy decisions from AM. This way you can avoid issues that could arise when developers must embed policy decisions into their applications. 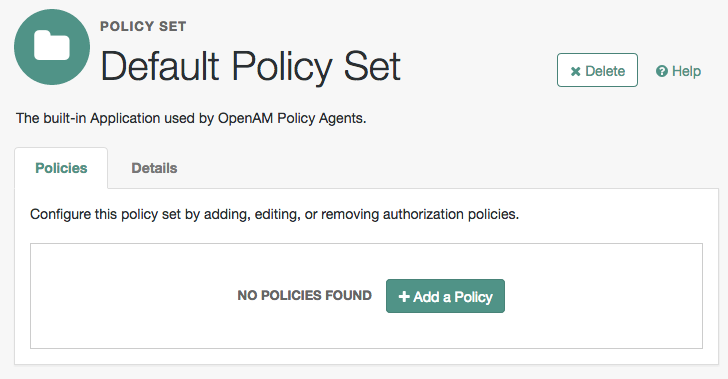 With AM, if policy changes or an issue is found after the application is deployed, you have only to change the policy definition in AM, not deploy a new version of the application. AM makes the authorization decisions, and web and Java agents enforce the decisions on AM's behalf. The rest of this chapter has you demonstrate AM access management by installing AM, creating a policy, and installing a web agent on a web server to enforce the policy for a web page. This chapter shows the requirements for using AM and how to install the software needed to protect a web page. You will learn how to install Apache HTTP Server, Apache Tomcat, AM core server with the AM console, and AM Apache web agent. Installation instructions for Java Development Kit (JDK) are not included in this chapter, as AM is a Java web application, and the JDK is pre-installed. Disk Space Requirements. AM's distribution .war file includes the core server code with an embedded DS server, which stores AM's configuration data. By default, AM installs the embedded DS and its configuration settings in the $HOME directory of the user running the container where AM is installed. For example, on an environment using Apache Tomcat as the container, the embedded DS server is installed on the tomcat user's home directory, /home/tomcat. The DS server requires free disk space equal to or greater than 5 GB, plus 5% of the total size of the filesystem in the $HOME directory of the user running the container. The AM web agent installer is also a Java program. AM Apache Web Agent. Install a web agent in Apache HTTP Server to intercept requests from users and enforce access policy decisions AM makes. The web agent intercepts requests from users, and enforces access policy decisions made by AM. The web agent enforces policy by redirecting users to AM for authentication and by contacting AM to get authorization decisions for resources, such as the web page to protect. • "To Create a Web Agent Profile"
• "To Install a Web Agent"
Apache HTTP Server is a popular web server that is supported by AM's web agents. Apache HTTP Server might already be installed on your system, but since you are installing software for the sole purpose of getting started with AM, install the web server separately instead of modifying any existing installations. The AM web agent requires Apache Portable Runtime 1.3 or later, so make sure you download Apache HTTP Server 2.2.9 or later. Download a supported version of Apache Tomcat. For information about supported versions, see "Web Application Container Requirements" in the Release Notes. If Apache Tomcat works correctly, the "If you're seeing this, you've successfully installed Tomcat. Congratulations!" page appears. Tomcat is now able to serve the AM web application. Make sure you have successfully gotten to this point before you proceed. Tomcat deploys AM under the /path/to/tomcat/webapps/openam/ directory. You can access the web application in a browser at https://openam.example.com:8443/openam/. Browse to AM where it is deployed in Tomcat, in this example, https://openam.example.com:8443/openam/, to configure the application. 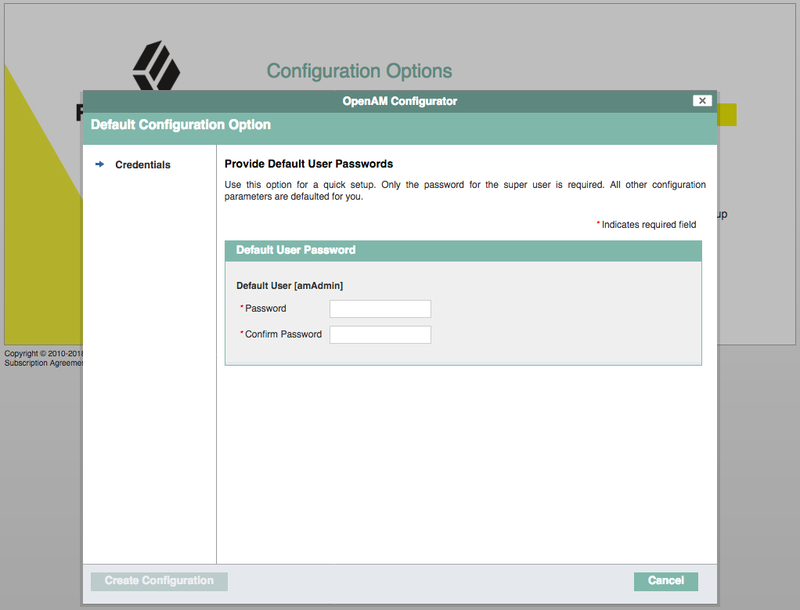 Set the Default User [amAdmin] password to changeit, and then click Create Configuration to configure AM. AM allows you to organize identities, policies, and agent profiles into realms as described in "Setting Up Realms" in the Setup and Maintenance Guide. For now, use the default Top Level Realm. From the Resource Type drop-down list, select URL. From the Resources drop-down list, select the URL pattern for your policy. In this example, select *://*:*/*, then enter the resource URL: http://www.example.com:8000/*, and then click Add. From the Add an action drop-down list, select GET. From the Add an action drop-down list, select POST. On the Type section, click the Edit icon. From the Type drop-down list, select Authenticated Users, and then click the checkmark. AM stores profile information about agents centrally by default. You can manage the agent profile through the AM console. The web agent retrieves its configuration from its AM profile at installation and start up, and AM notifies the web agent of changes to its configuration. Follow these steps before installing the web agent itself. In the page to configure your new web agent, set the following values. Click Create to save the new web agent profile in AM. Web agents enforce policies defined in ForgeRock Access Management. While the web agent's job is to verify that users have the appropriate privileges to the resources they request, web agents do not make policy decisions. They call on AM to make policy decisions using information presented by the user (or the user's client application), such as the SSO token in the HTTP cookie, which AM uses to manage user sessions. A web or Java agent is, in essence, a gatekeeper for AM. Download the AM web agent for your version of Apache HTTP Server from the ForgeRock BackStage website. The password file should be read-only by the user who installs the web agent. Stop Apache HTTP Server while you install the web agent. Install the web agent in Apache HTTP Server, making sure that you provide the correct information to the installer as shown in the following example. 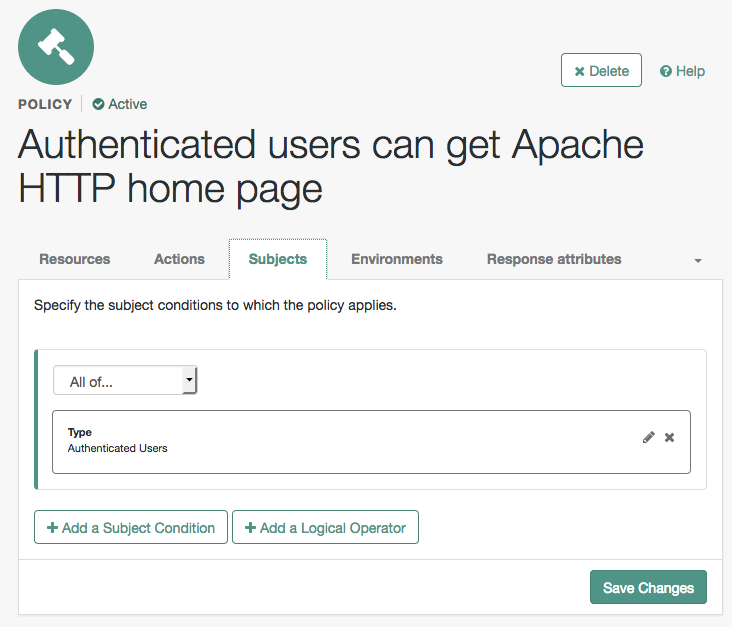 Start Apache HTTP Server, and verify that the web agent is configured correctly. At this point, the web agent intercepts your request for the page. Your browser does not return a cookie indicating an AM session, so the web agent redirects you to AM to authenticate. In the background, AM redirected your browser again to the page you tried to access originally, http://www.example.com:8000. This time, the web agent intercepted the request and found the SSO Token so it could request a policy decision from AM regarding whether the user with the SSO Token has access to get http://www.example.com:8000/. AM replied to the web agent that it could allow access, and the web agent allowed Apache HTTP Server to send back the web page. In the "Trying It Out" section, you successfully configured AM and viewed the iPlanetDirectoryPro session cookie. The session cookie contains information for AM or a web or Java agent to locate the session data object on the server. By default, sessions are stored in the Core Token Service (CTS) token store. AM also supports client-based sessions, in which the authenticated user's session is stored on the client (for example, in an HTTP browser cookie), not on the server. The session cookie cannot be updated until the session ends, when the user logs out or the session expires. To try out client-based sessions, see "Implementing Client-Based Sessions" in the Authentication and Single Sign-On Guide. For information on configuring self-registration, see "Configuring User Registration" in the User Self-Service Guide. For details on building your own self-registration application using the REST API, see "Registering Users" in the User Self-Service Guide. For details on setting up password reset capabilities, see "Configuring the Forgotten Password Reset Feature" in the User Self-Service Guide. For details on building your own application to handle password reset using the REST API, see "Retrieving Forgotten Usernames" in the User Self-Service Guide. Single sign-on (SSO) and cross-domain single sign-on (CDSSO) are core features of AM. Once you have set up AM, you protect as many applications in the network domain as you want. Simply install web or Java agents for the additional servers, and add policies for the resources served by the applications. Users can authenticate to start a session on any site in the domain and stay authenticated for all sites in the domain without needing to log in again (unless the session ends, or unless a policy requires stronger authentication. Many organizations manage more than one domain. When you have multiple distinct domains in a single organization, cookies set in one domain are not returned to servers in another domain. In many organizations, sub-domains are controlled independently. These domains need to be protected from surreptitious takeovers like session cookie hijacking. AM's CDSSO provides a safe mechanism for your AM servers in one domain to work with web or Java agents from other domains, while allowing users to sign-on once across many domains without needing to reauthenticate. CDSSO allows users to sign on in one of your domains and not have to sign on again when they visit another of your domains. For details on how to configure web and Java agents for CDSSO, see "Implementing Cross-Domain Single Sign-On" in the Authentication and Single Sign-On Guide. AM offers support for both OAuth 2.0 and OpenID Connect 1.0. AM can serve as an authorization server and as a client of OAuth 2.0, while managing the profiles of the resource owners. When acting as a client, AM web and Java agents can be used on resource servers to enforce authorization. For details, see the OAuth 2.0 Guide. 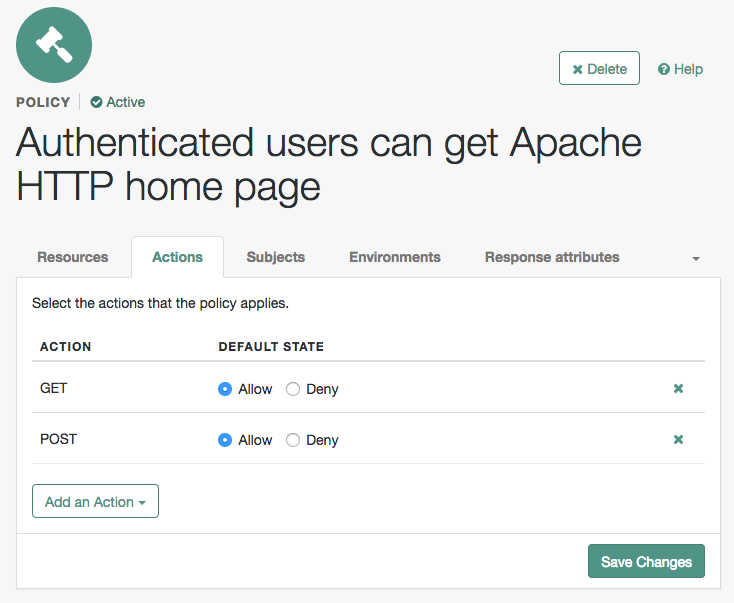 In the first chapter of the guide you installed a web agent to enforce AM's authorization decisions on Apache HTTP Server. That web agent is only one of many agents that work with AM. For details about web agents see the ForgeRock Access Management Web Agents User Guide. For details about Java agents also see the ForgeRock Access Management Java Agents User Guide. 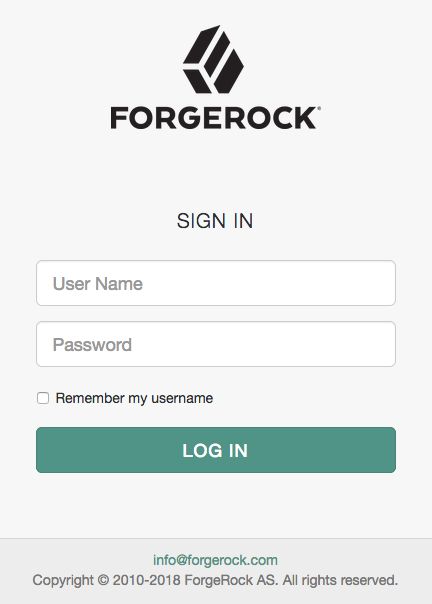 Furthermore ForgeRock Identity Gateway works with applications where you want to protect access, but you cannot install a web or Java agent. For example, you might have a web application running in a server for which no agent has been developed. Or you might be protecting an application where you simply cannot install an agent. In that case, IG functions as a flexible reverse proxy with standard SAML v2.0 capabilities. For details see the ForgeRock Identity Gateway documentation. For client application developers, AM offers REST and Java APIs. AM Java APIs let your Java and Java applications call on AM for authentication and authorization in both AM and federated environments. For details, see the ForgeRock Access Management Java API Specification. After a successful OAuth 2.0 grant flow, AM returns a token to the client. This differs from CTS-based OAuth 2.0 tokens, where AM returns a reference to token to the client. After a successful OAuth 2.0 grant flow, AM returns a reference to the token to the client, rather than the token itself. This differs from client-based OAuth 2.0 tokens, where AM returns the entire token to the client. 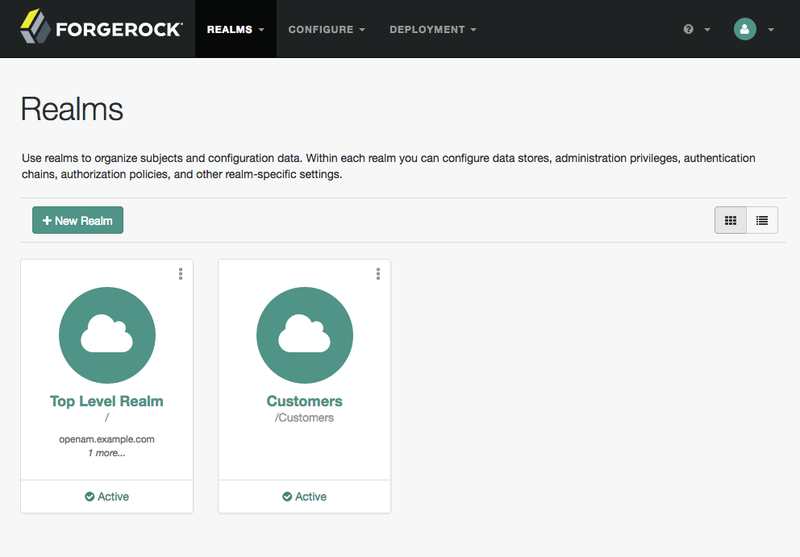 Realms can be used for example when different parts of an organization have different applications and identity stores, and when different organizations use the same AM deployment. Copyright © 2013-2019 ForgeRock AS.